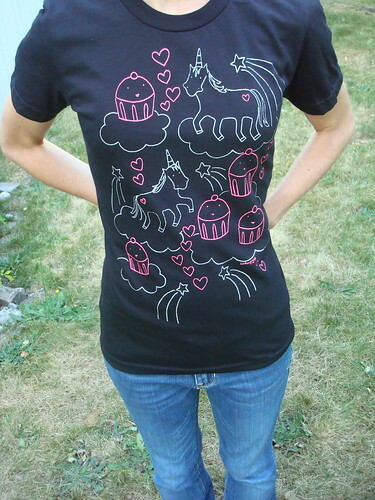 Totally Sweet and Magical: New CakeSpy Tees Available! Might as well burn all of your other tee shirts, because from now on, this is the only one you'll ever need. Yes, it's time to acquaint yourself with the newest CakeSpy t-shirt! 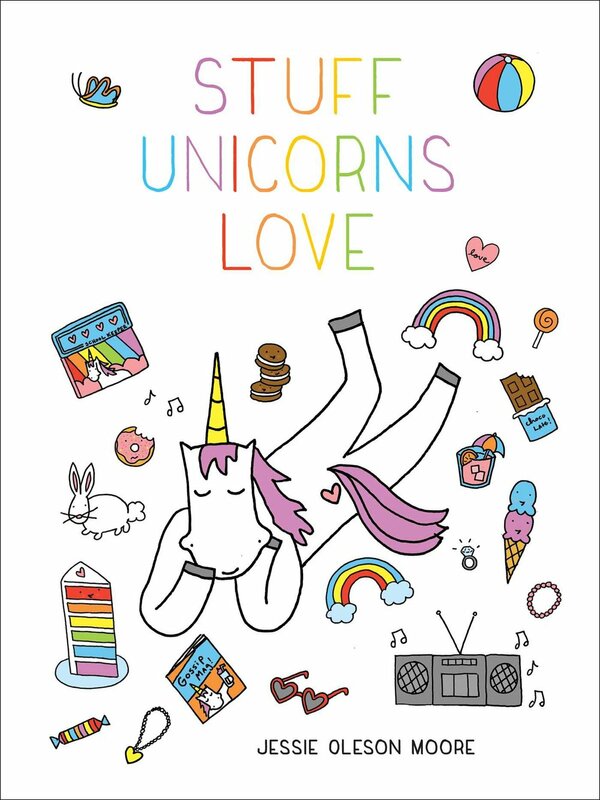 It has basically the most magical scene ever: cupcakes, rainbows, unicorns, hearts and shooting stars! This limited edition design is printed on American Apparel black t-shirts; they are hand screen printed in bright, vibrant pink and sparkly metallic silver (please note that American Apparel tees can run a bit small, so please check out the size chart). Want to feel the magic? Click on over to cakespyshop.com to purchase!